Home ♦ Drift ♦ #GRIDLIFE2015 – What is GRIDLIFE? 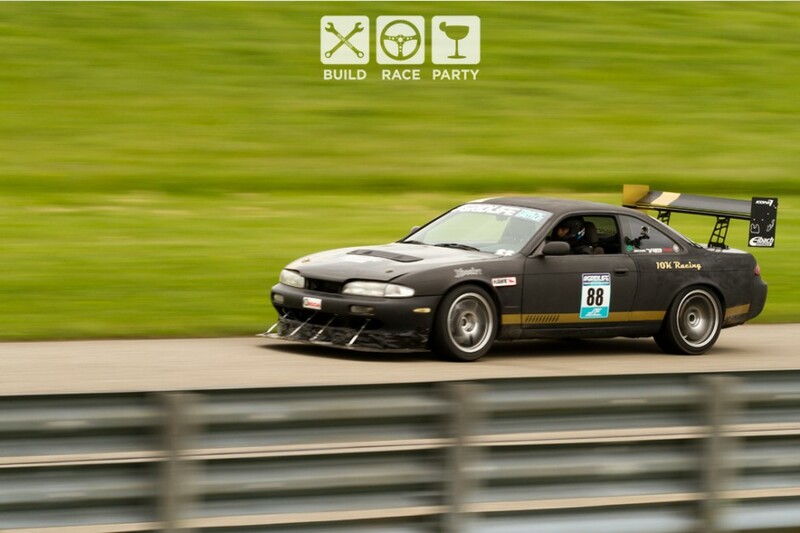 With the inaugural GRIDLIFE being last year, I was all too excited to get the opportunity to cover it this year as it happens to be the first year of their new ‘Track Battle” time attack series. 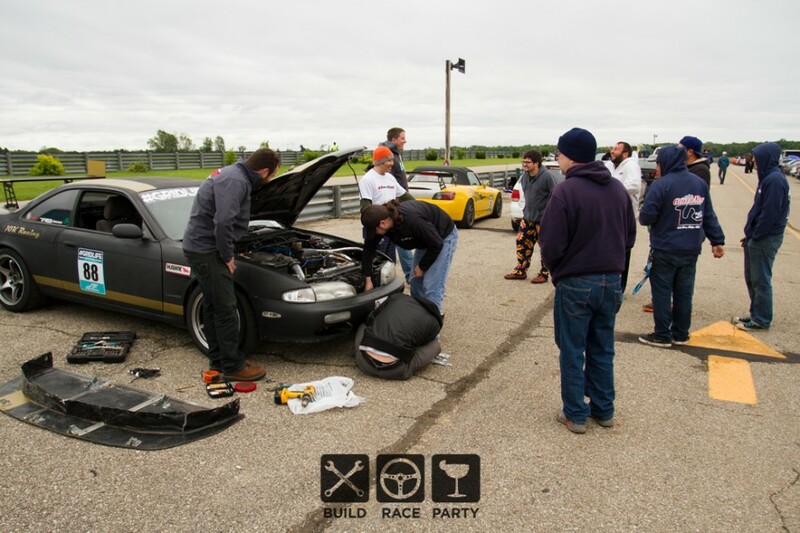 What started just over 15 years ago as some Honda enthusiasts who decided to set up a racing weekend, has now exploded into a weekend full of not only racing, but drifting, music, and a car show as well. 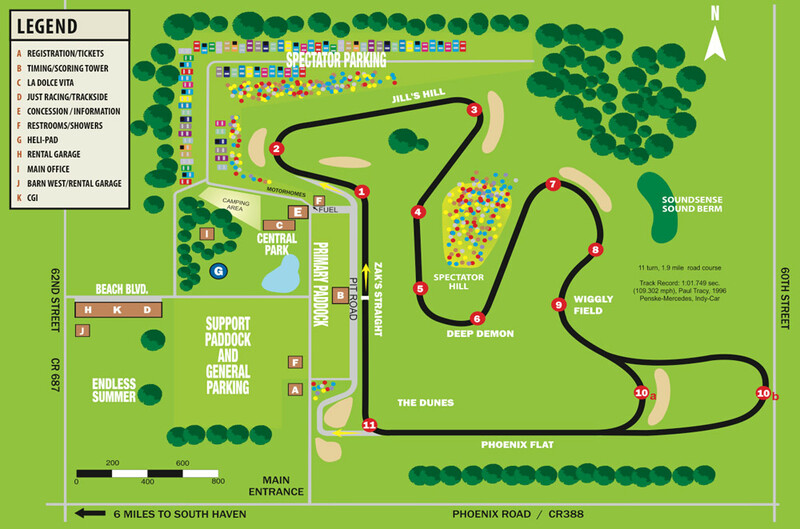 It is now more of an all encompassing festival than just a weekend at the track. 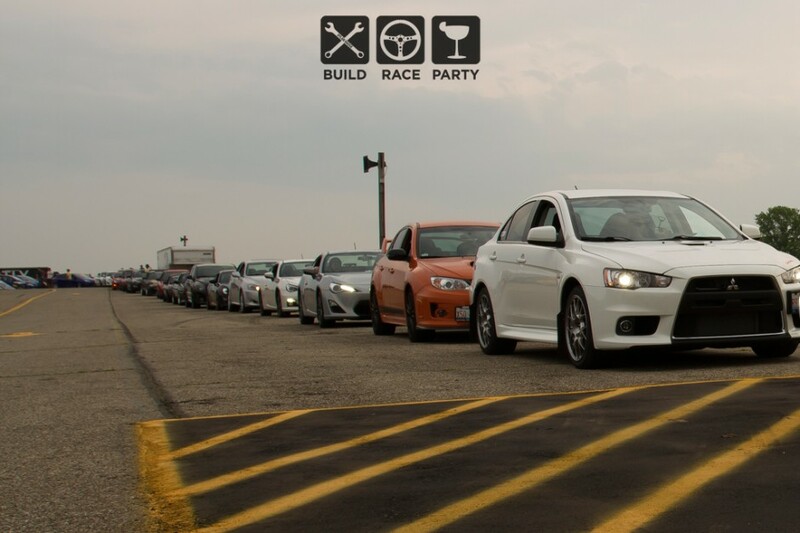 Just as a relative example, WMHM (West Michigan Honda Meet) — one of the events that evolved into #GRIDLIFE — has 651 people ‘Going’ according to Facebook while GRIDLIFE had 4,500. Again, it’s not a racing weekend; it’s an experience. That being said, it is one I think every “car-person” should take part in. I am not the biggest fan of people with -7° of static camber, or EDM (electronic dance music), but this weekend even with the inclement weather was amazing. Thursday started early as media was allowed in prior to the racers and general admission attendees. I posted up in a spot I knew a bunch of my friends and their friends usually setup. Since I was alone, and early I decided to walk around a bit and ended up helping out Timing & Scoring setup in the tower and started to meet some of the amazing staff that makes GRIDLIFE possible. As people started to roll in the grandeur of the event started to take effect. I was first greeted by a gentleman who I found out later was one of the faster guys out there – Ryan Upham. 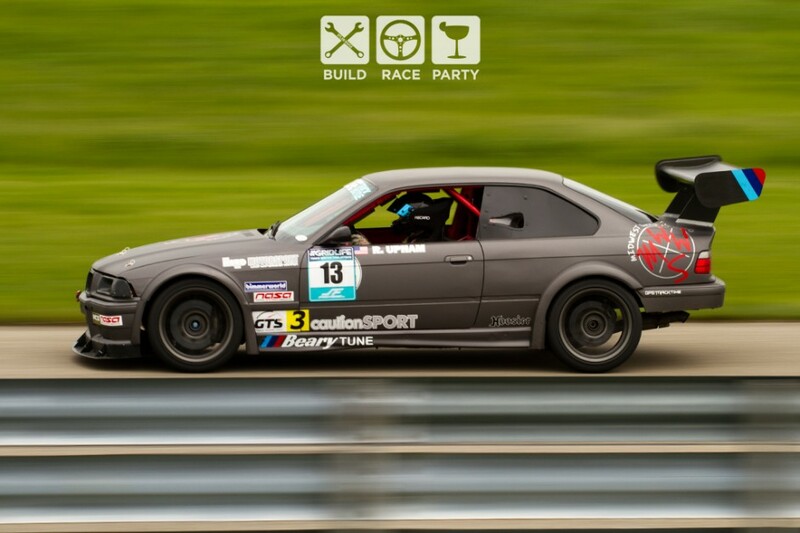 He piloted the National Autosport Association’s (NASA) German Touring Series 3 (GTS3) Prepped E36 M3 that apparently gets an extra power bump when he is not running NASA events. 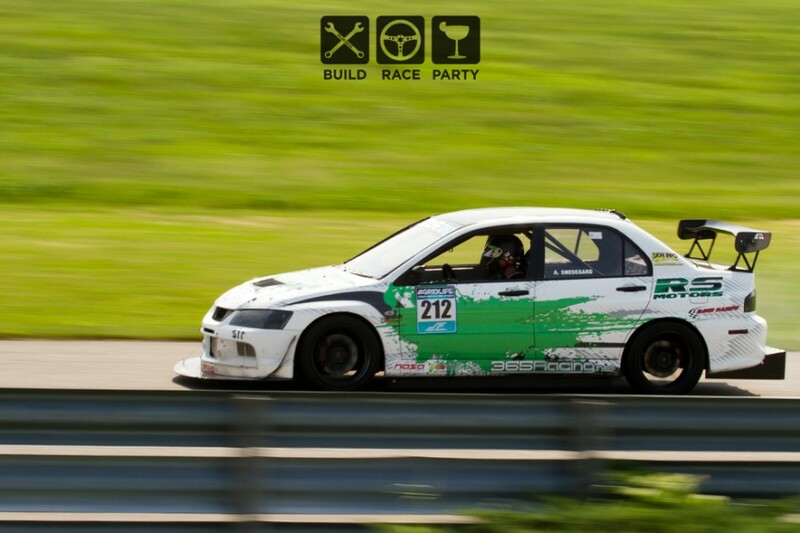 Ryan had some tight competition in the ‘Unlimited’ class; ne such example was a 420 HP Mitsubishi Evolution street car driven by the likes of Andy Smedegard (See: Not Human) who turned an impressive 1:34.527 putting him in first place… in a 420HP street Evo, mind you. Driver Mod = Best Mod. Ryan ended up in 3rd just about 3 tenths behind William Au-Yeung in his fully prepped 9th gen Civic Si. 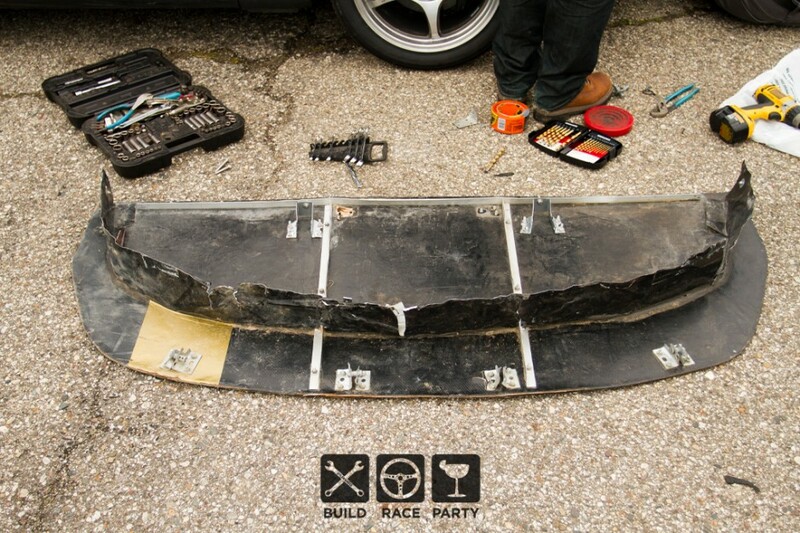 Andy started the weekend in his own prepped Evo, but it has some motor problems the first day. His friends at RS Motors decided to stick him in their Evo IX RS on Hoosier A6’s and that is the car it took home first in. This just goes to show that it’s not the arrow; it’s the Indian, or the other old adage that sometimes you need to tighten the nut behind the wheel. Friday started as a beautiful racing day. Sun was out, and it was just an all around great day… that is until night time. The day started, for me, with a tech line that ran around the entirety of the paddock. I haven’t ever done a racing weekend that involved camping trackside, but being woken up by rotary motor exhaust notes is a great alarm clock. 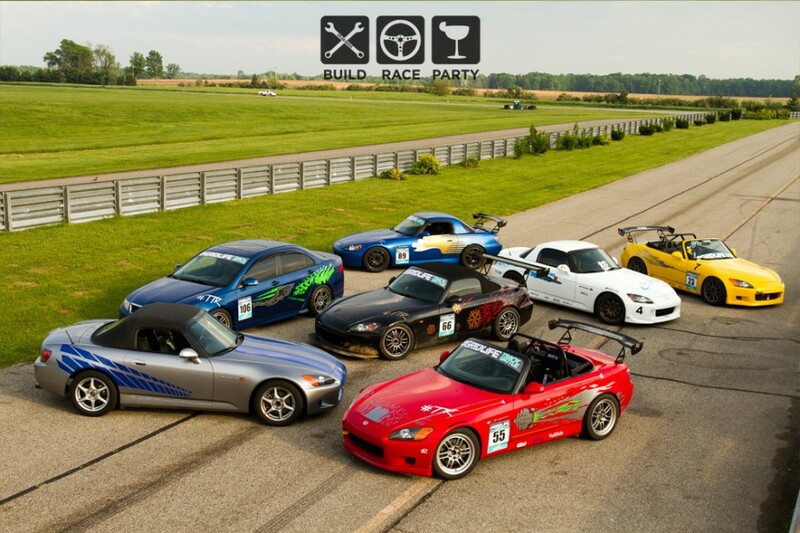 During the seemingly never ending line for TECH the first group hit the track, HPDE Advanced. And just like that it was as if the cars never stopped running; it was amazing. I was very impressed with the GRIDLIFE staff’s ability to maintain order during what seemed like it would be complete car chaos. Not only did they maintain order, but they were all still super friendly and nice — I don’t know if I could have kept the same composure in their situation. *Hats Off* I hung out in the tower for a bit to get some good pan shots and while I was up there the drifter meeting convened so I thought I would just hang out for it. Plus, I knew one of the 2 celebrities for the weekend was going to be there, Ryan Tuerck. He was definitely just another car guy; if you did not know who he was you would not have known he was anyone special.. that is until he got in his car and showed everyone what he does best. Later, the evening turned into a solid party and we ended up meeting a couple girls (coincidentally both named Sara) who were there for EDM and a couple random guys there for racing and before you knew it we were carrying on like we had been long-time friends. 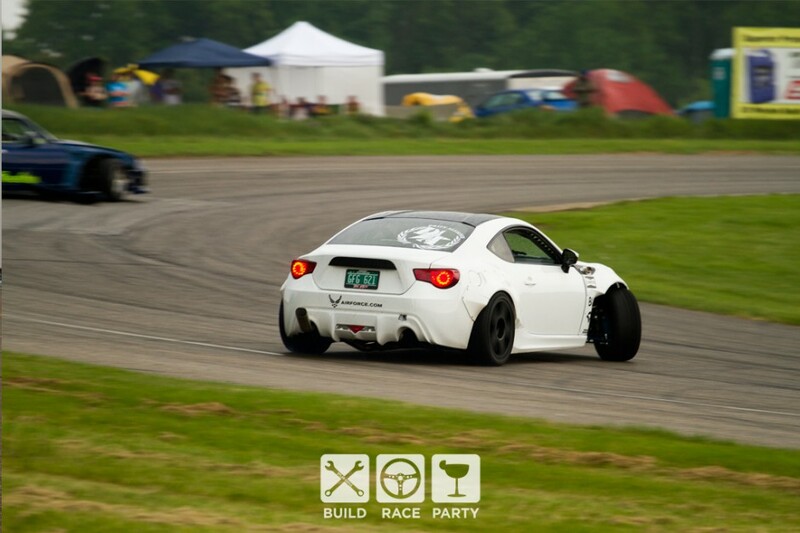 GRIDLIFE is amazing for this as everyone who is there has something in common with everyone else. Before we knew it, a slight drizzle turned into torrential downpour and we ended up hanging out in the large tent the girls were sharing, and the party continued. Saturday, like Friday, started with the beautiful sounds of exhaust notes. Though the track was wet/damp some of the fast guys were still putting down times of 1:50 and under. I don’t even know that I could do that in the dry. 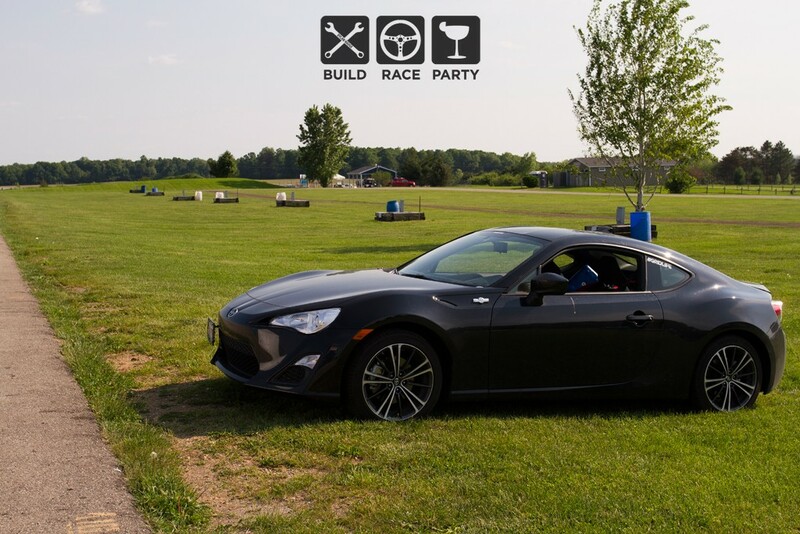 The level of talent at this event was awesome and I can’t wait to see who comes out for their next event in the Track Battle series at Autobahn Country Club. The day started to dry up as more cars made laps and the weather passed, and the times started to get faster and faster. 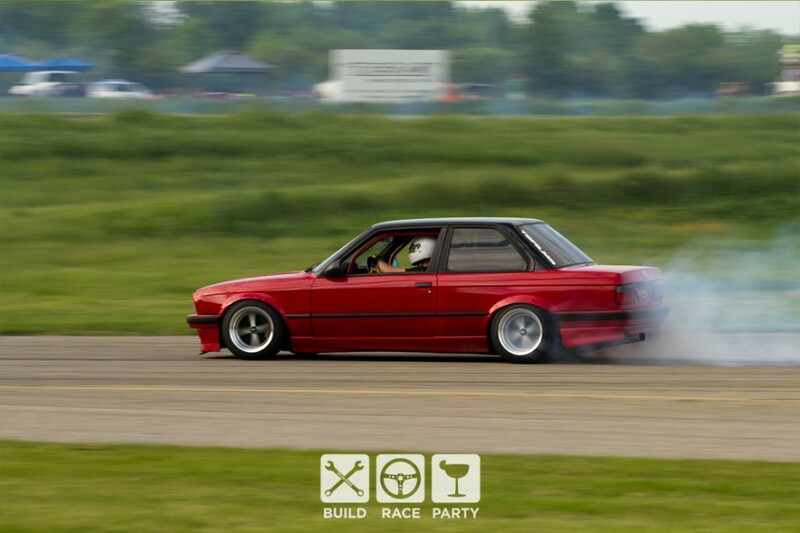 Along with that, the dry track meant that the drift show was that much more entertaining as now there will be clouds of tire smoke as seen by this beautiful E30 Drift BMW. The night ended with us at a local bar (Black River Tavern) to watch the Chicago Blackhawks finish off the Anaheim Ducks to head to the Stanley Cup Finals. Needless to say it was a loud an rambunctious evening since a lot of us at #GRIDLIFE are from the IL area. After finishing off the last of our pints we headed back to camp to be welcomed by brutal winds, rain, and just general cold. It was, to say the least, not a fun evening to be sleeping in a tent. Though again, even with the lack of sleep, I wouldn’t trade it for anything in the world. Sunday started out miserably; most of us were cold, smelly, and sleep deprived, but we were there to race (and party). I personally had some issues with leaking water in my tent and was now out of pants as I used the two pairs of jeans I brought to dry up water. I wasn’t really thinking about my need for pants when I was cold, wet, and sleepy the night before. Luckily, I had my full waterproof setup (including pants) from LSPR last year. Even though it was the last day of a long weekend these guys/gals were there to race. Today was the day to dial it in and dial it up. Though, some people’s day started a little differently… Ryan Weddle of 10 Karat Racing started the day off without his front splitter as it decided when he had in off the day before in the Deep Demon, or more affectionately known as the “Toilet Bowl,” that it was going to stay behind. The night before, prior to heading to the bar, he stopped off at the local hardware store and got some new parts to repair it. Thanks to the community that is GRIDLIFE in a short while he had help and some spectators. Within no time the splitter was repaired and better than ever. Ryan ended up 3rd in Track Modified RWD with a respectable 1:42.770. All in all I can definitely say I am looking forward to all things #GRIDLIFE in the future. Their next event is scheduled for June 27th/28th at Autobahn Country Club in Joliet so I will be there in one capacity or another. The people, the staff, the community; all of it is amazing. It wasn’t even the 2nd day of the event before one of the staff members offered to get Wendy’s for me when he was heading into town. I didn’t even know his name at the time (I do now — TK), but he was more than willing all the same. That is what I took in more than anything from this event — camaraderie. 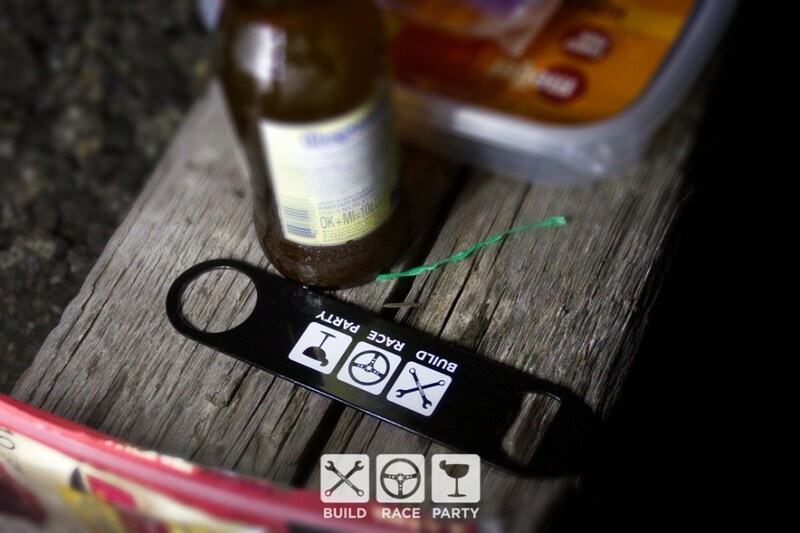 I made so many new friends and had so many amazing experiences that I recommend this series of events to anyone from racer to casual observer. One of my favorite moments of the weekend, and the topic I part on, was meeting the guys of Twerk Team Racing. I was already friends with one of the members, but I didn’t know the rest of the team other than from stories while bench racing. They were nice enough to share their camping area in paddock, food, beer, and anything else I could think of. When they asked for me to get a picture of all their cars how could I say no; especially since they pulled “it” off so well — it’s no wonder they took home best team livery.